The Steam Game Servers API provides everything you need to create dedicated servers for your game. You can host these game servers yourself, or allow your community to host them for you. This is the best choice for highly competitive games (such as Dota 2) or games with persistent servers that stay around after players leave (such as Team Fortress 2). 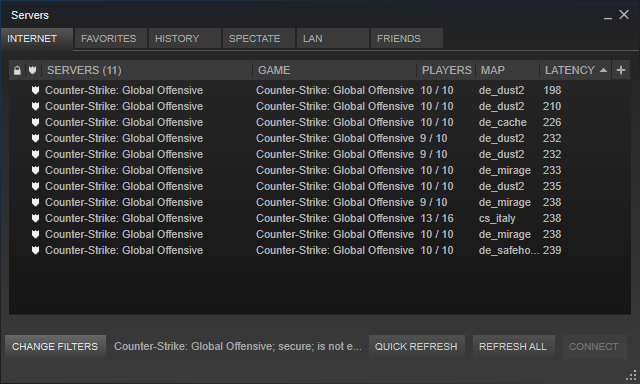 A large part of the game server experience on Steam comes from the unified server browser. You can get the same data as the server browser with the API functions available in ISteamMatchmakingServers. If you want to allow your community to host dedicated servers then special considerations may have to be taken when giving them access to the dedicated server files.